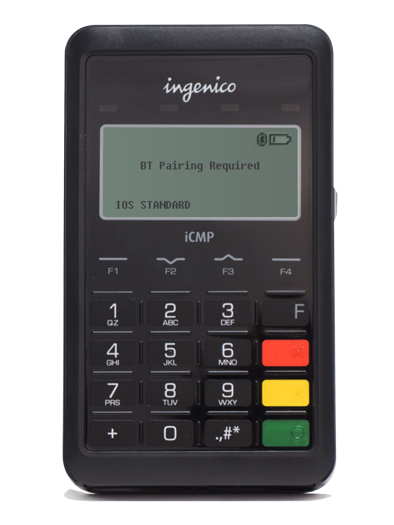 Before using the iCMP Bluetooth Credit Card Reader for the first time, it needs to be charged for a minimum of 3 hours. Charge the device for 6 hours for a full charge. Plug the included micro USB cable into the charging port on the side of the Datio Base station, if supplied use the power brick or the small brick that came with your Datio POS hardware (cash drawer, stand and printer). 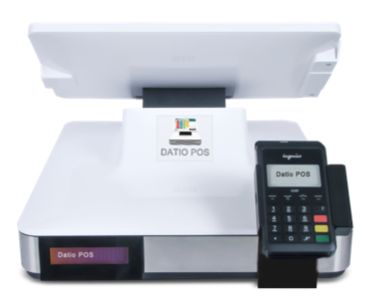 You can mount the payment terminal to the Datio POS Base Station or Datio Cash Drawer with the Datio POS payment bracket. 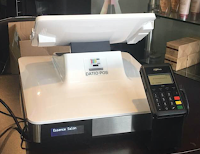 Attach the bracket with two screws to the underside of the Base Station or Cash Drawer, mount the ICMP with the double sided tape supplied with the bracket. Or keep the terminal loose and at the cleke side of the POS. Then follow the instructions below for pairing with the iPad.it is too powerful. Only use the provided charging brick or a cell phone charging brick. 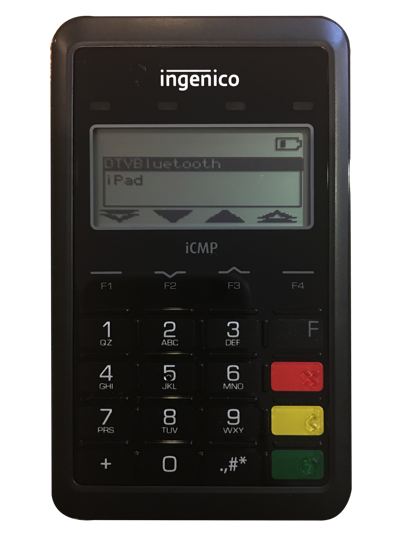 Use the instructions below to pair the iCMP Bluetooth Credit Card Reader with iPad. 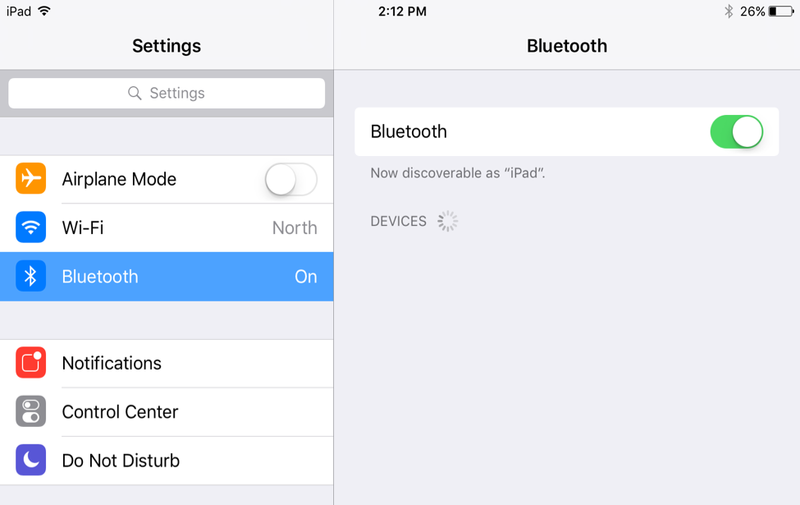 On the iPad, visit the Settings app, then tap 'Bluetooth'. Tap to toggle Bluetooth (GREEN) to on position. Turn the reader on by briefly pressing the power button on the right. When 'BT Pairing Required' appears, press the F1 button to select iOS to begin. 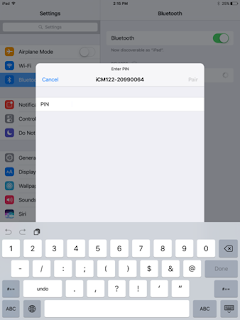 Select the iPad by pressing the F2 (down) or F3 (up) keys on the reader. Then press the GREEN button to get your BT Pairing Pin. You will now see the iCMP payment device ready to Pair, as it shows the PIN. On the iPad, a pop-up will appear. Enter the PIN from the reader and press 'Done'. You have 1 minute to pair the reader and iPad. If you run out of time be patient; it will appear again. 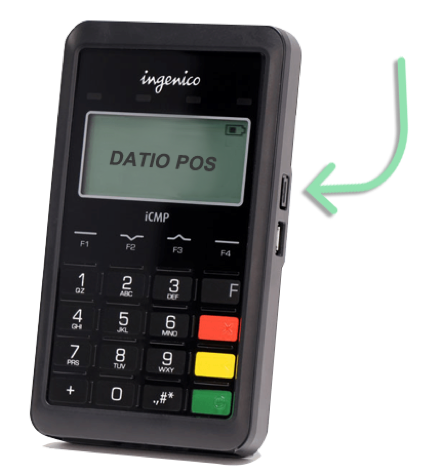 In the Settings app, under MY DEVICES, a device labeled “iCMP…” will appear and the card reader will display the DATIO POS logo. The reader might show downloading EMV, again be patient. Now you're ready to process credit cards with this device. Follow along below to learn more about the iCMP’s basic functions, such as turning the reader on and off. Press the power button on the right to turn the reader on. Wait for the reader to boot up. 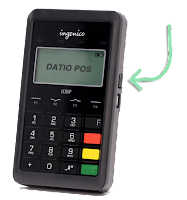 It will show an Ingenico or a DATIO POS logo. Unplug the iCMP Bluetooth Credit Card Reader from power. Simultaneously hold down the yellow "<" key and the ".,#*" key on the reader for a few seconds. • You will need to un-pair the reader from the iPad if you are pairing it with another iPad. 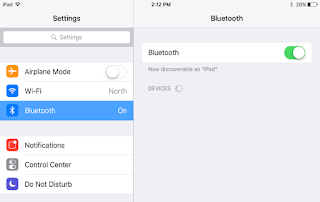 • On the iPad, visit the iPad Settings App and select 'Bluetooth'. • Tap 'Forget This Device' then 'OK' on the confirmation screen. • With the reader powered on, press the black 'F' key four times in quick succession. “BT Pairing Required” will now be on screen. If you don’t see this, repeat step 4 above. • You are now free to re-pair the reader to this or another iPad. 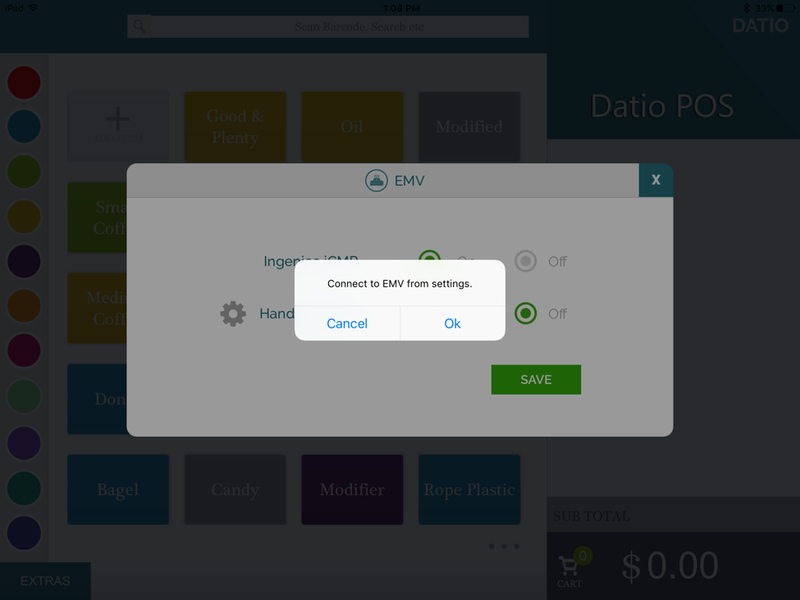 Go To Extras \ Custom Set Up \ EMV to get to the EMV settings. The iCMP supports a few different types of credit payments. 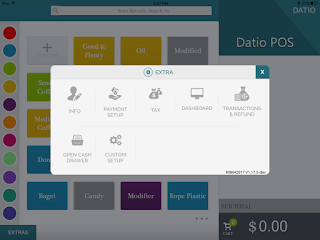 Follow the steps below to learn how to accept swiped credit cards, EMV chip cards, and Apple Pay (Coming soon). 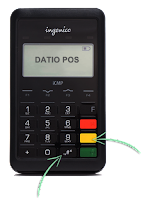 When a customer has a card with only a magnetic stripe, process a swiped credit card sale. Ring up a credit transaction as normal and select 'Credit'. 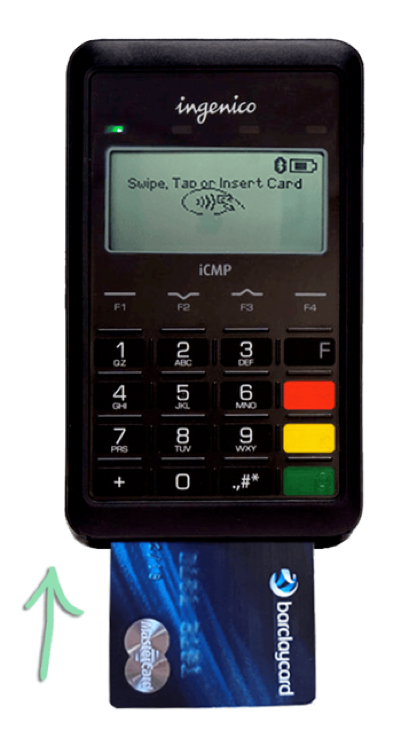 With the card stripe facing up, swipe the card through top slot of the iCMP credit card reader. Wait for payment to be approved and continue closing the transaction as normal. 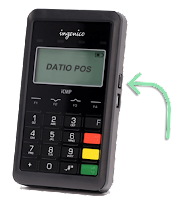 If a customer has a chip card, run an EMV transaction by dipping the card. Ring up a transaction as normal and select 'Credit'. Wait for the iPad and iCMP to prompt for insertion of the card. 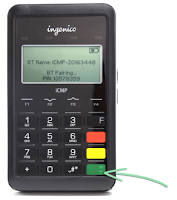 Insert the card at the bottom of the iCMP (chip end first). 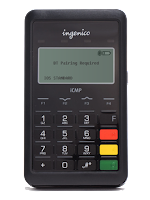 Follow the instructions on the Ingenico iCMP payment terminal. Most common is F3 for Yes to accept amount, then remove card. Visa debit cards might give two choices Visa Debit and US Debit. US Debit will require a PIN, US Debit will not. Use the F2 and F3 keys to move the selection, green button to select. 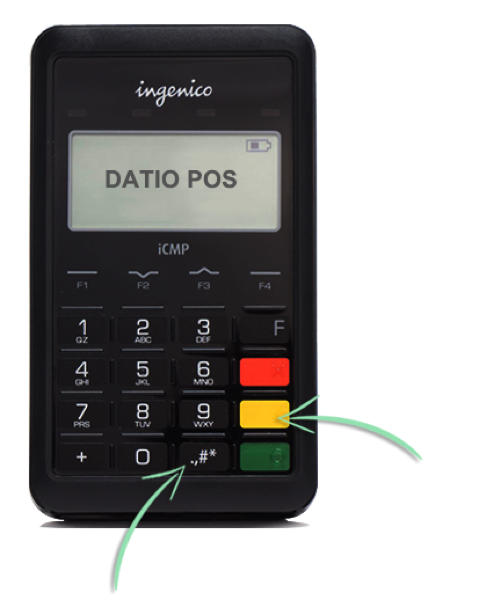 Once the screen indicates the transaction has been authorized and the card can be removed, complete the sale by removing the card. Give the DATIO POS App a second to react after the card is removed. 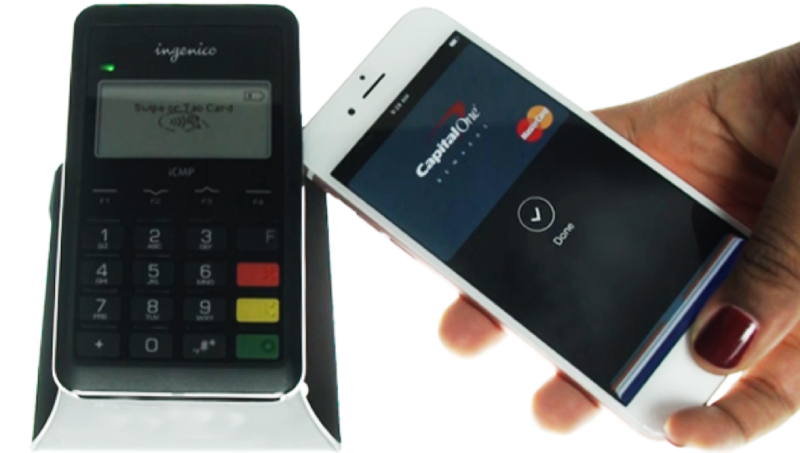 For customers who want to pay with their iPhone, use Apple Pay. Ring up a transaction and select the 'Credit' tender option. 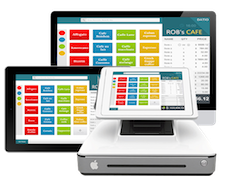 At the register, the customer holds their iPhone within 1" of the credit card reader while touching the home button on their phone. The iPhone will automatically open Apple Wallet. Customer waits for a slight vibration, a check mark and a beep, indicating payment confirmation. Wait for payment to be approved and continue closing the transaction as normal.